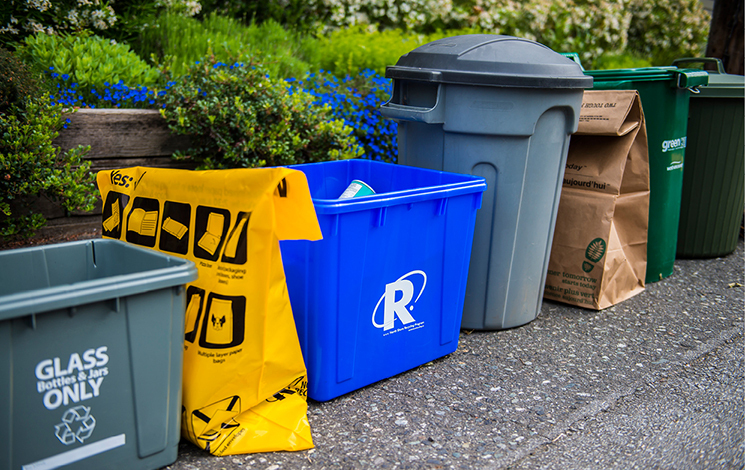 West Vancouver diverts an estimated 75 per cent of residential waste from landfill and is committed to protecting, restoring and defending our natural environment. Need replacement blue boxes, grey boxes or bags? New collection calendar? Order them online, by phone at 604-929-3416, or pick them up from Municipal Hall at 750 17th Street. Live in an apartment, condo or townhouse complex with shared collection? Please note: The boundary between the light pink and dark pink garbage zones (Wednesday collection) has changed, effective January 1, 2019.